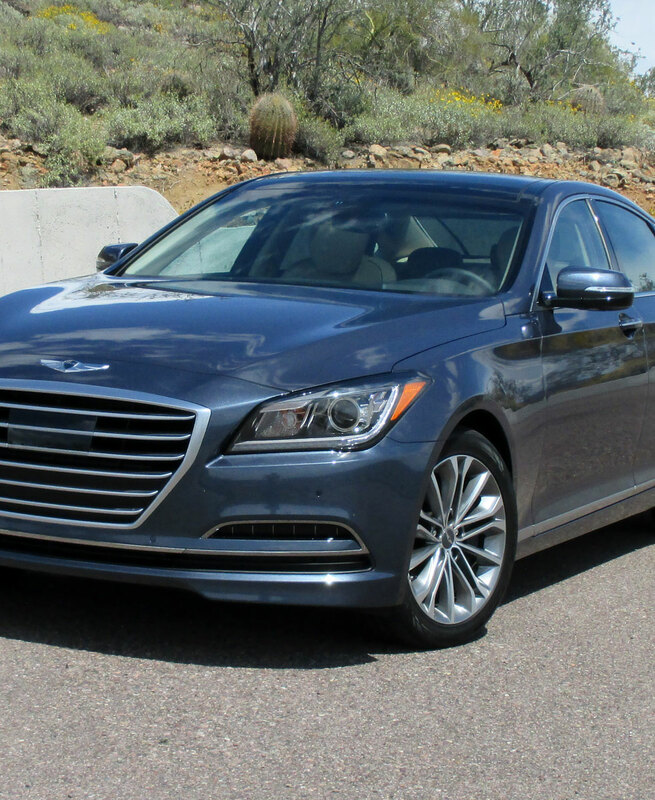 We recently got our first drive in the all-new 2015 Hyundai Genesis sedan in the mountains to see how it compares to luxury rivals from Germany and Japan. 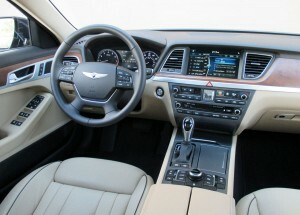 In its second-generation, it received a thorough restyling inside and out. 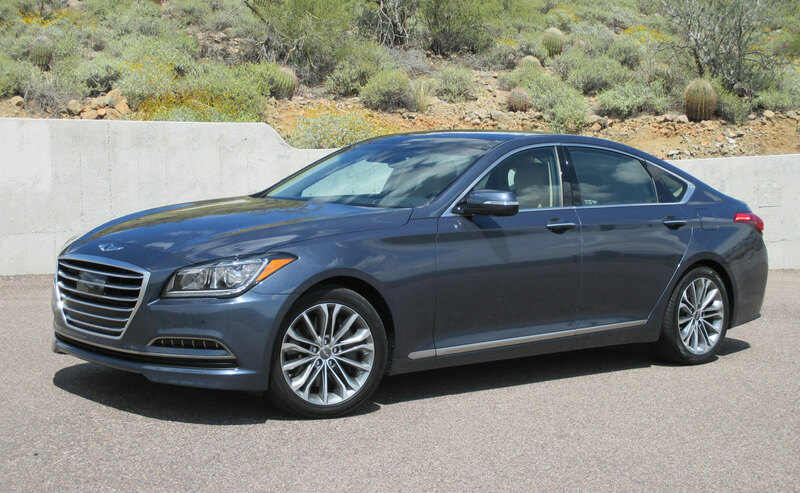 With the 2015 Genesis, Hyundai continues its bold, or perhaps brave strategy of marking upmarket models under their brand name instead of creating a silk purse brand umbrella such as Toyota did with Lexus. 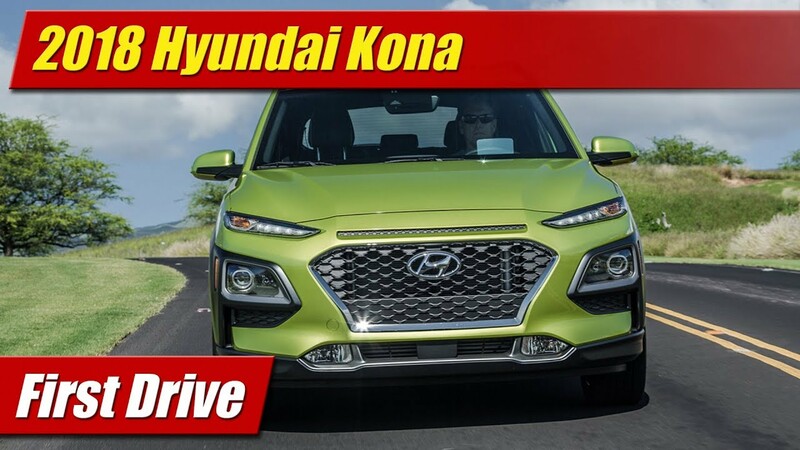 The second-generation Genesis gets the latest iteration of Hyundai styling called Fluidic Sculpture 2.0, showing blockier and more architectural forms, simpler lines, and a large prominent hexagonal grille. There’s a healthy dose if LED lighting and accents front and rear, but even the optional headlamps here are only HID. 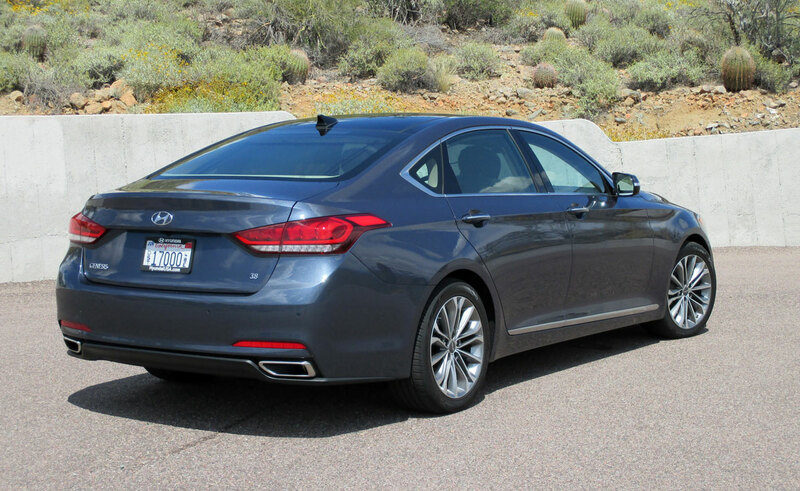 Its lengthened wheelbase shows in its front proportions and an elongated roofline becomes faster at the rear flanks. 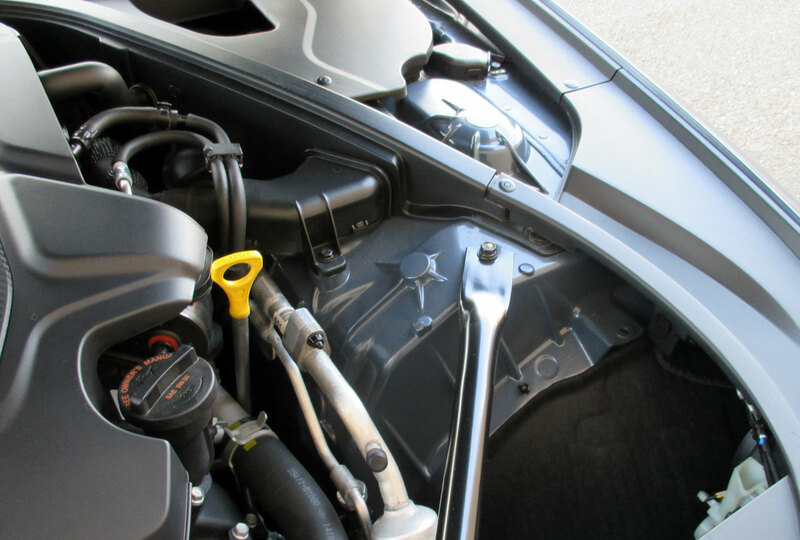 Our 3.8 liter V6 model came with 18” wheels which look properly proportioned here and has dual exhaust tips at the rear, even with the base engine. 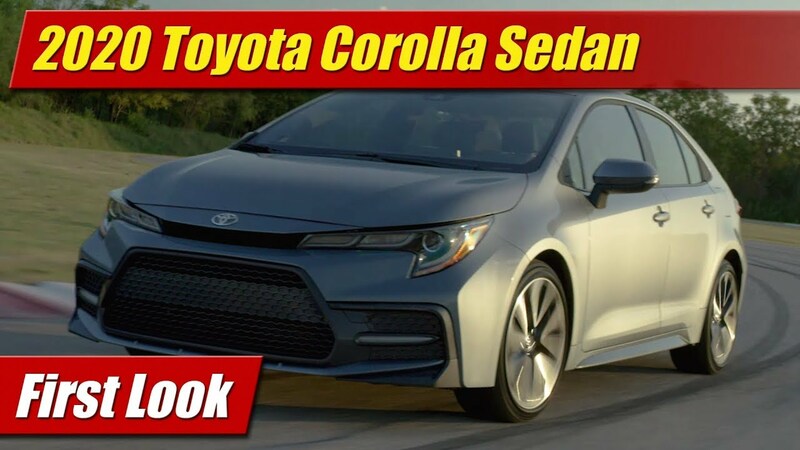 Ours was optioned with the tech package which has radar and camera based driver aids that offer a good deal of safety enhancements but have the cost of a large blank spot in the grille area. It also came with a panoramic glass roof which looks as handsome on the outside as it does inside. That panoramic roof brings a lot of light to the cabin and really creates a nice sense of space to our lightly colored interior. 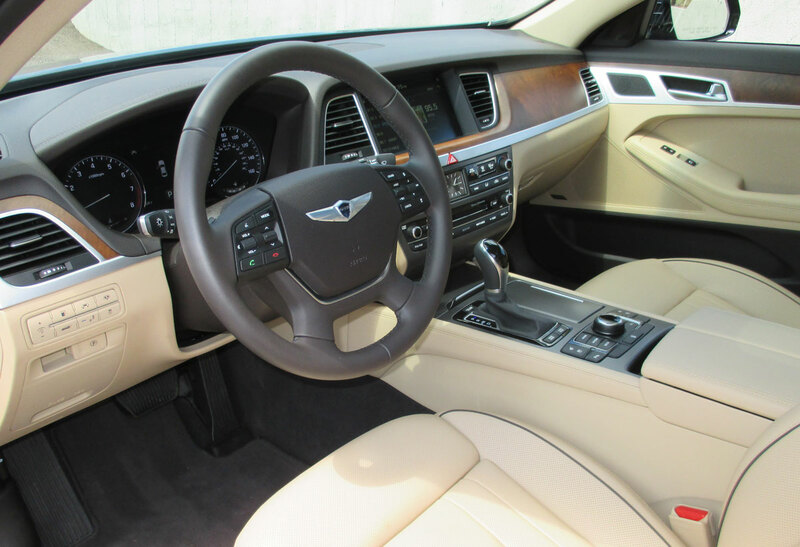 With the Ultimate Package, our Genesis had generous slabs of genuine open pore woods, aluminum trims and soft stitched leathers. 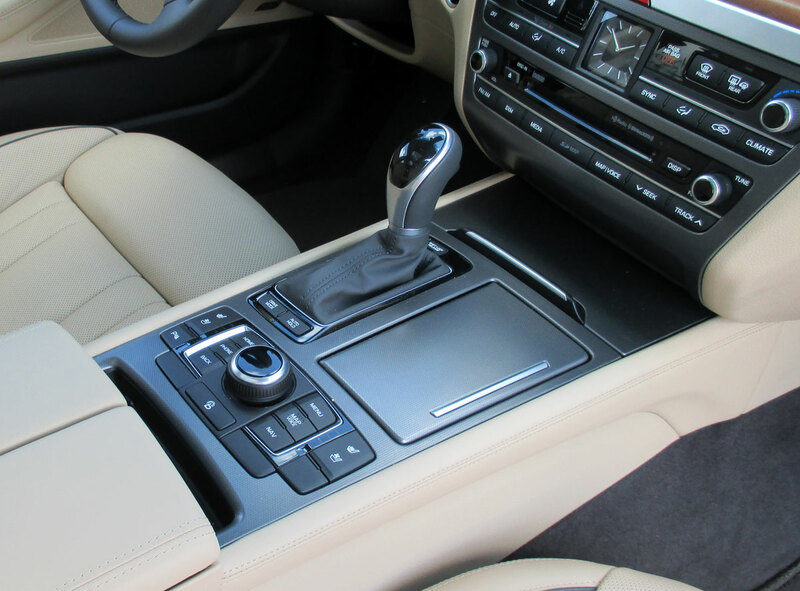 Switch gear is laid out logically and offers a high quality sense of touch whether it be on the doors, center console or on the steering wheel. That wheel has a plethora of controls for all things, solid feeling paddle shifters and is power adjustable. The center stack controls are down to business without a lot of pretentious design elements. From the console mounted infotainment puck, to the shifter and drive mode controls all the way up to the 9.2-inch display screen, it’s easy to understand and navigate on the go. It’s infotainment interface has a bit of a learning curve to do simple things like set your favorite stations in presets and get to navigation settings. One you learn it however it works quite well. And the sound of its 17 speaker Lexicon Sound system is exceptional. 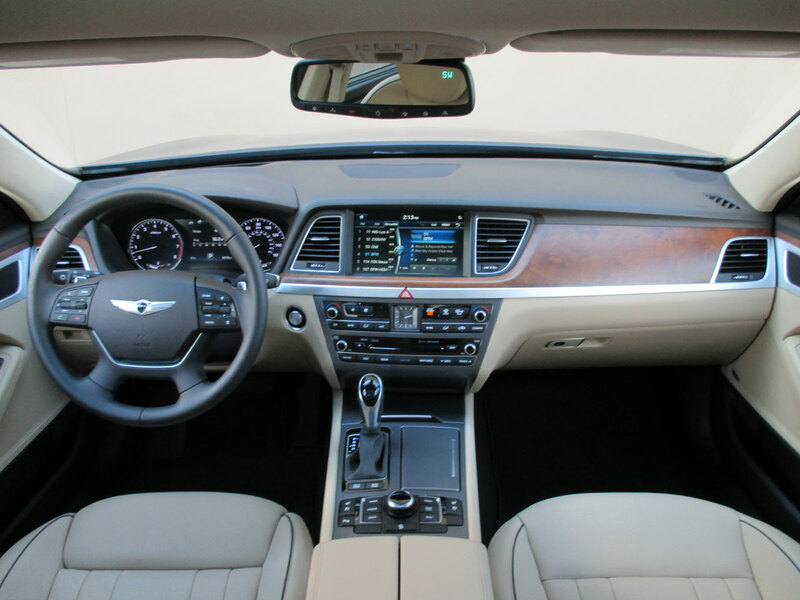 The instrument cluster while appearing simple in design also houses its own 7-inch display screen which can be customized with any number of information sets. And ours had the optioned head-up display which projects speed and lane keeping information on the windshield. 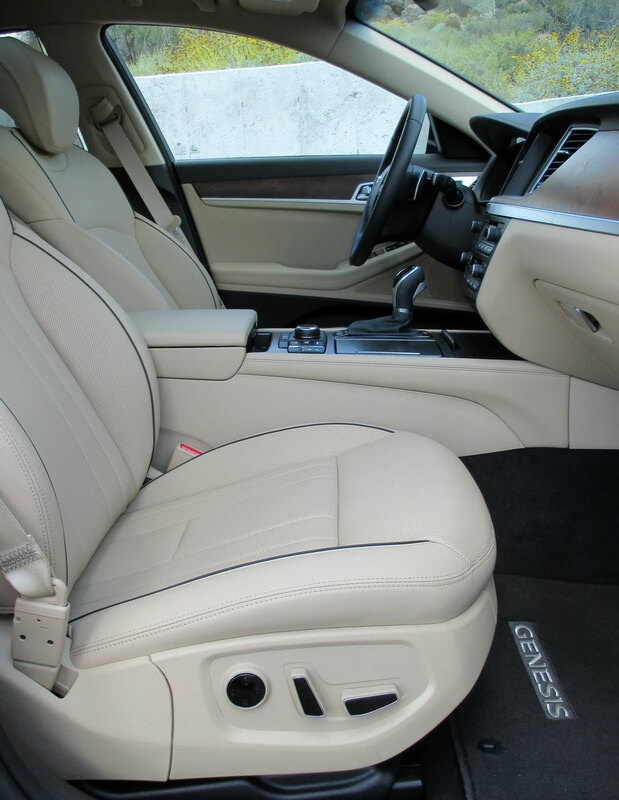 Front seats offered up supportive comfort with power adjustments on both sides and they did feature heating and ventilation. 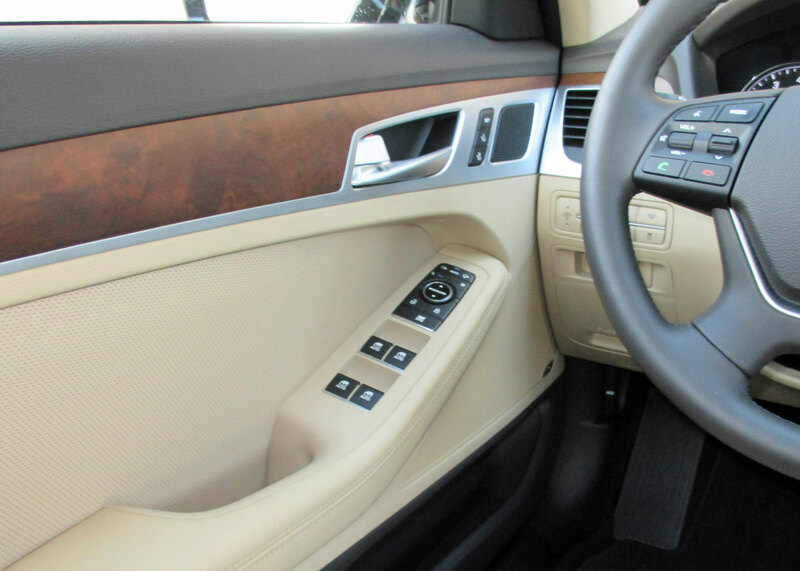 The driver seat gets memory settings for position of seat, steering wheel and side mirrors. 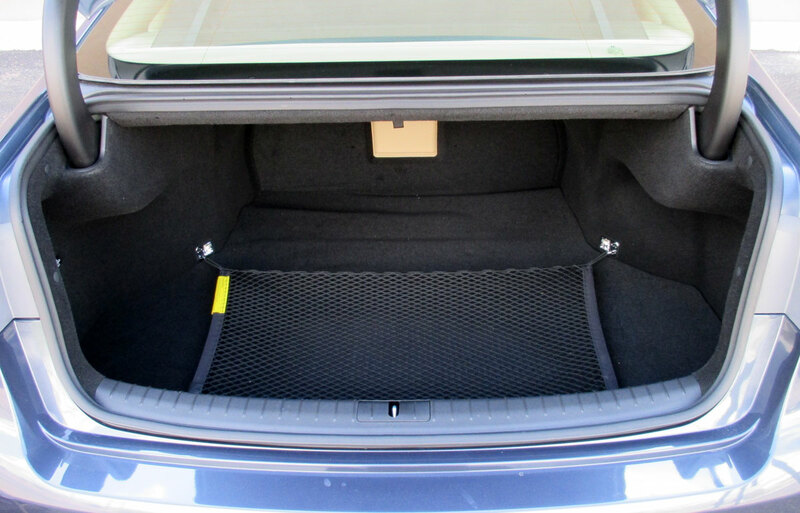 Rear seat room is prodigious both for leg and head room, with niceties such as rear hvac vents and controls. Missing however is heated seats at this price. 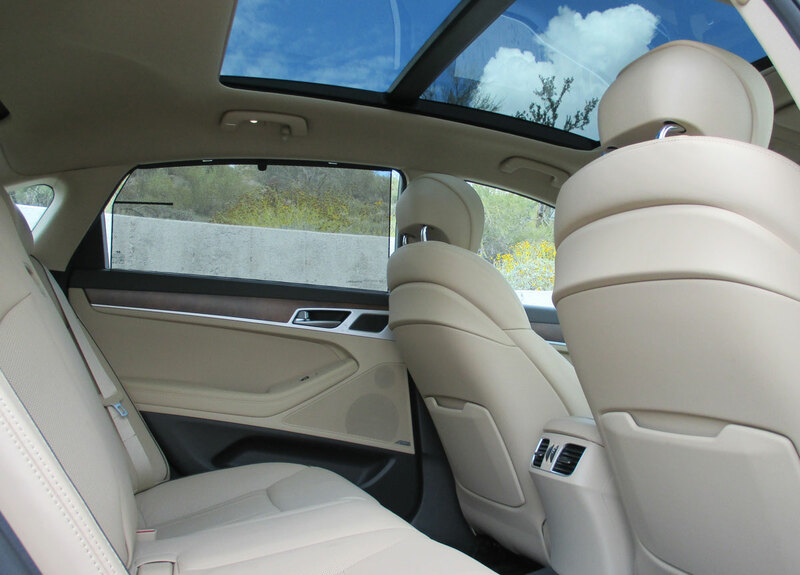 Rear seat passengers will however enjoy the privacy and shade of the sun screens on both rear doors and rear glass afforded by the Signature Package. 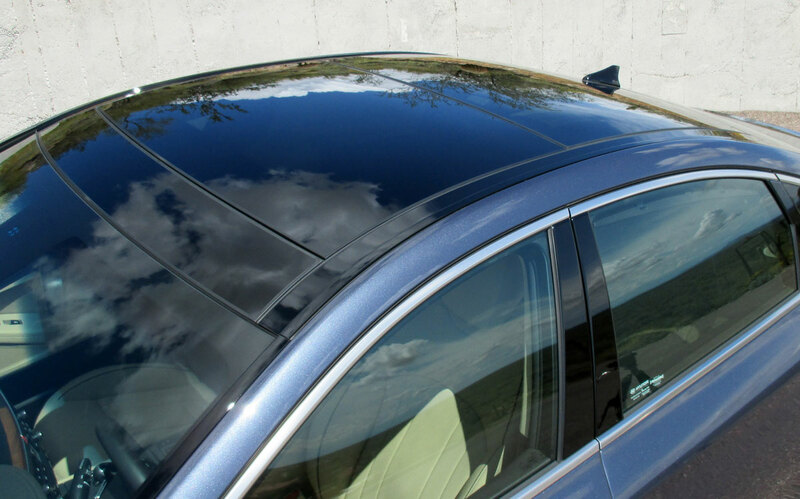 The panoramic sunroof also extends far enough back to give a nice view upward. Our rear-wheel drive Genesis had a direct-injected 3.8 liter DOHC V6 engine which for 2015 offers 311 horsepower and 293 pound feet of torque on regular unleaded fuel and comes mated to a smooth shifting 8-speed automatic transmission. On the console are selectable drive modes which range from ECO to Sport. 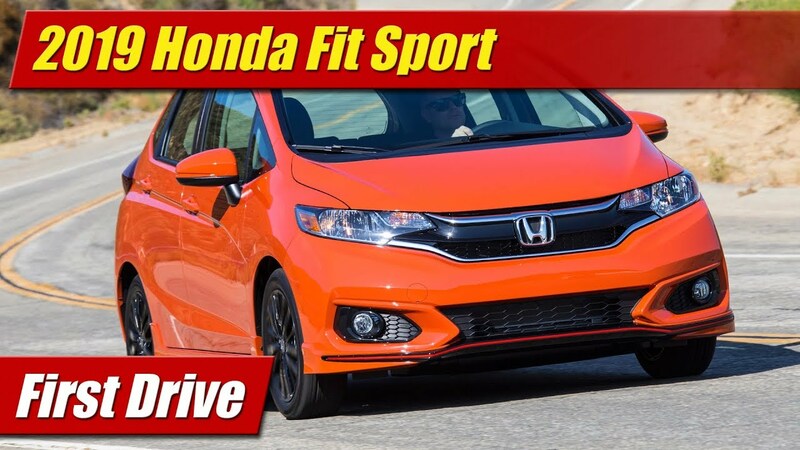 The latter quickens up the transmission and throttle responses for more spirited driving as well as dials in a bit more steering effort for a firmer feel. Power is actually impressive enough to please, despite this being a based engine. It has some punch and revs out with a refined growl, being shifted deftly and competently by its gearbox. You can option a more powerful 420 horsepower 5.0 liter V8 which also comes with the 8-speed automatic transmission but requires premium fuel. 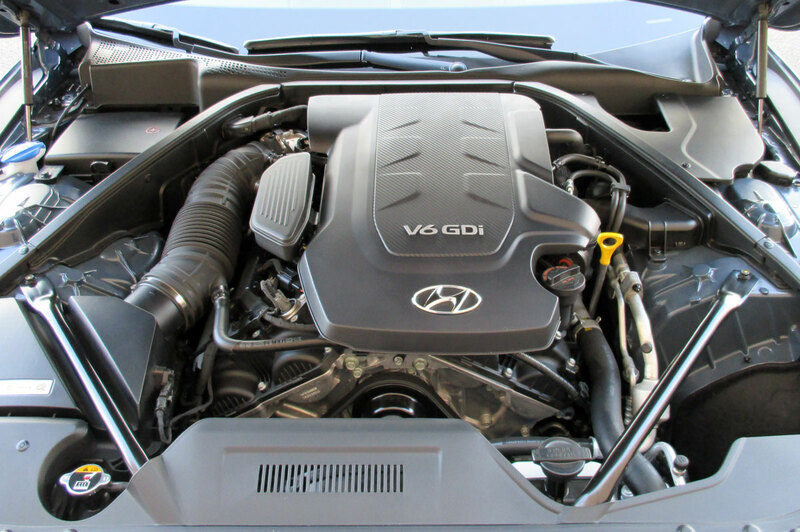 All-wheel drive is available as well, but only with the V6 engine. 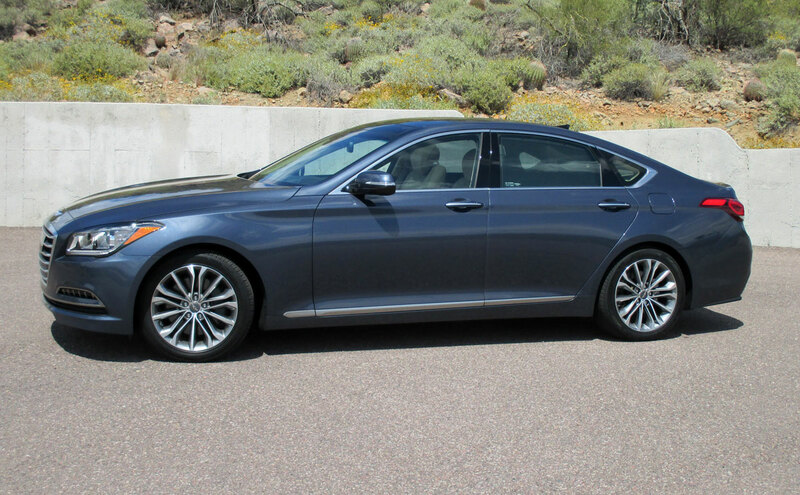 The EPA rates our Genesis 3.8 at 18 mpg city, 29 mpg highway, and 22 mpg combined. In our testing we however found it pretty thirsty, only achieving 18.5 mpg combined in our tank average. 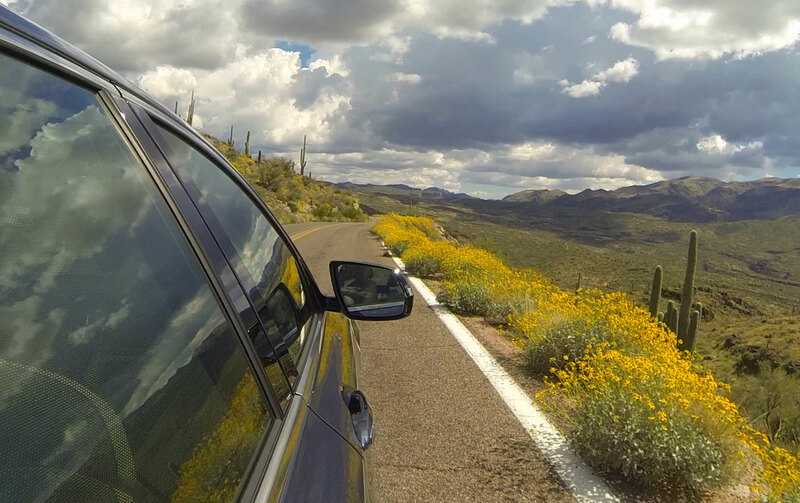 In fairness however much of our time was spent enjoying the mountain roads as you see. 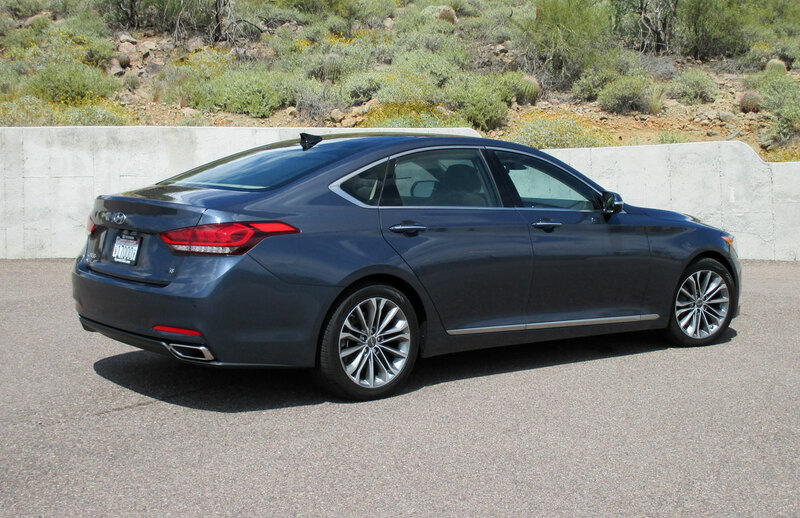 The second-generation Genesis gets a fully independent front and rear suspension with a high-feature 5-link design both up front and at the rear. Higher end chassis and structural features like cast aluminum shock towers add increased rigidity over the last generation model. Handling is nimbler than you would expect from a car this size, and compared to the last generation Genesis seems much more sorted on rougher pavement. Pot holes, surface ribbles and cracks don’t upset the apple cart in cornering the way they once did. The ride is also hushed quiet, almost Lexus quiet. Tire noise and wind noise are at a minimum even on rougher surfaces. The panoramic roof did however shudder occasionally on bumps, but this is the state of cars right now. They do this in even the most expensive brands. 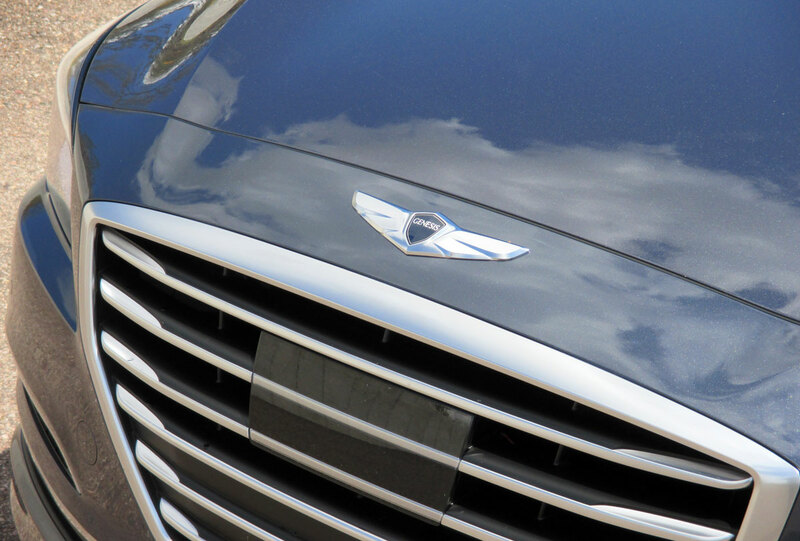 The Genesis gets high marks from the IIHS with their best ranking of Top Safety Pick + because it achieves Good ratings on their full battery of crash tests including the rigorous small offset crash. 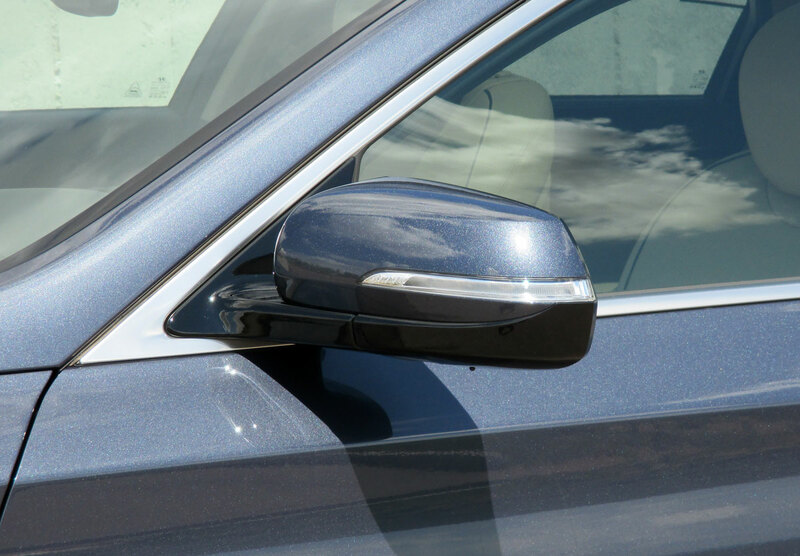 It also offers what IIHS calls a Superior crash avoidance system. Part of that crash avoidance system is a robust lane keeping program which is very well mannered, yet effective. To a point it will steer you back to center should you veer to close to either line, even on mildly curved roads. If you push against it and cross the line, it gives you a subtle vibration in the wheel to alert you. 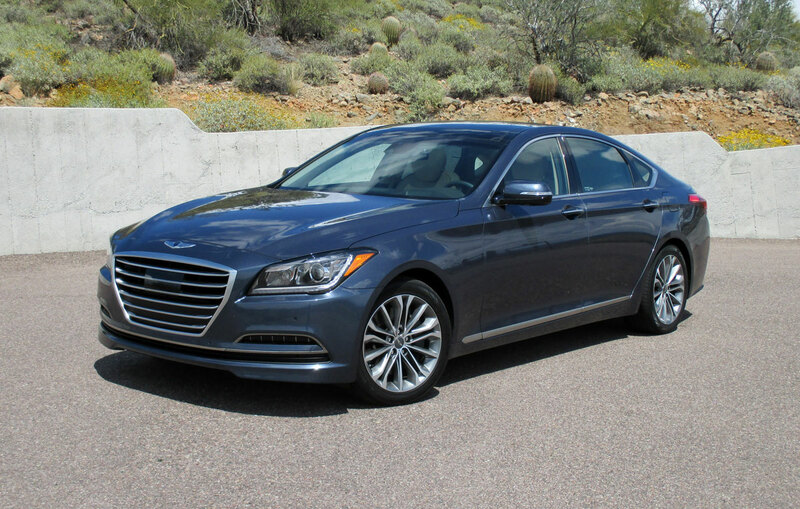 Overall, the 2015 Hyundai Genesis displays impressive road manners not only around town as a cruiser, but on the back roads where you would take a drive to get away. It has a pleasant demeanor all around which makes it a car to look forward to getting into.